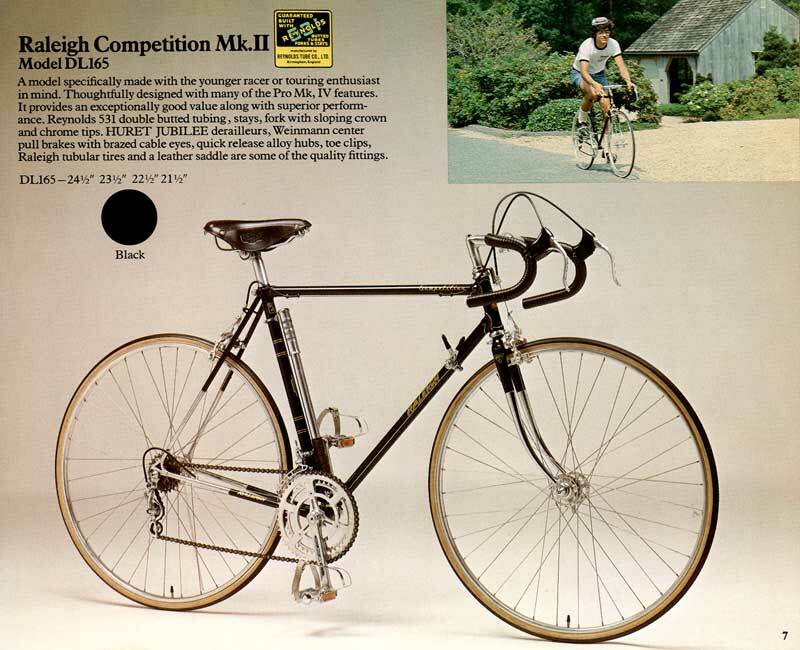 Detailed descriptions of Competition GSes enjoyed by fellow Raleigh enthusiasts. "WH9..." serial number, Heron headbadge. 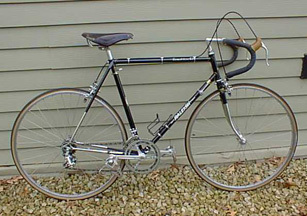 Black, with half-chromed forks and chain and seat stays. Gold pinstriping around lugs. Reynolds 531 double butted tubing throughout. Campagnolo eyeletted drop outs, long horizontal in rear. Components are from the Campagnolo Nuovo Gran Sport group, except for Weinmann 605 brakes. Rims are also Weinmann. 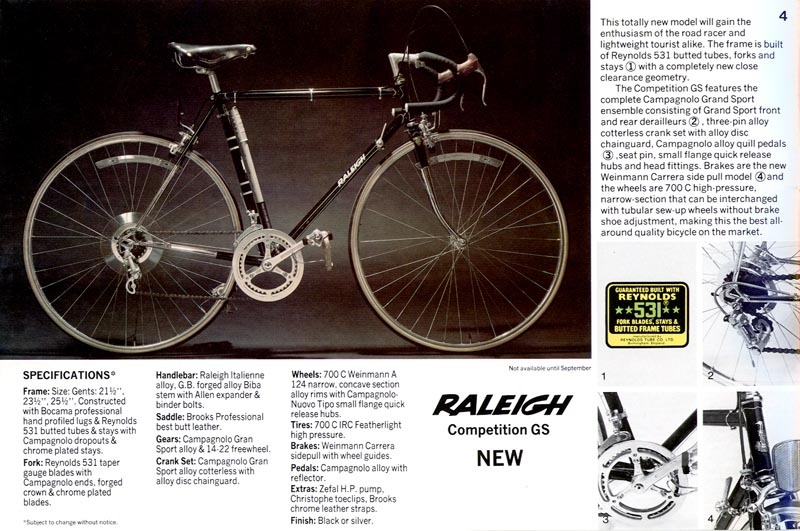 Saddle is Brooks, Stem is marked "Raleigh", no markings on handlebars. 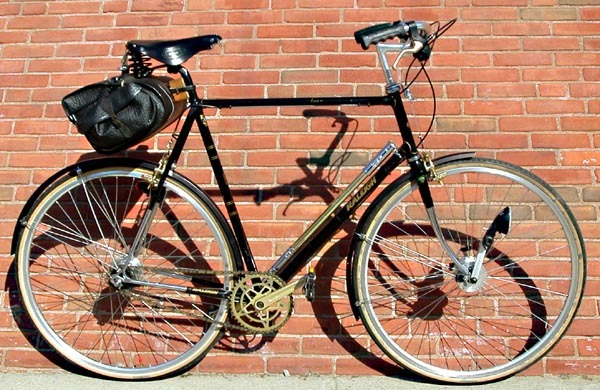 Frame Sizes 21.5", 23.5", 25.5"